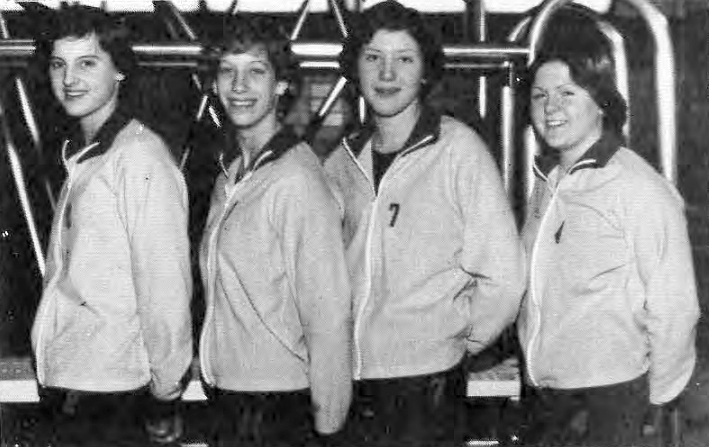 The Bishop Noll 1977 state championship medley relay team included, from left, Denise Bercik, Wendy Ruddy, Berta Fotschky and Maureen Brown. Fotschky will be inducted into the Indiana High School Swimming and Diving Hall of Fame in April. 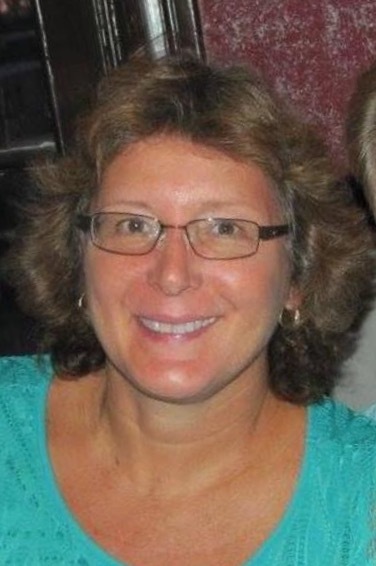 Berta (Fotschky) Rogers, who set multiple state swimming records during her time at Bishop Noll, has been selected for April induction into the Indiana High School Swimming and Diving Hall of Fame. Rogers, who now lives in Florida, swam at Bishop Noll her sophomore ’77 and junior ’78 years and was the first IHSAA individual swimming state gold medalist in Bishop Noll history. Her sophomore year record-setting season earned her hall of fame status. She was a standout at the fourth annual IHSAA girls state swim and diving championships, held Dec. 16-17, 1977, at Ball State University. Rogers outdistanced previous champions to win and establish state records in both the 200-yard individual medley (2:12.540) and the 500-freestyle (5:11.847), and was part of Noll's championship and record-setting 200-medley relay (1:56.949). Rogers shared the medley relay state title with team members Denise Bercik ’81, Maureen Brown ’80 and Wendy Ruddy ’78. Rogers’ record-setting performances led Bishop Noll to a fifth-place team finish at state. She also won each of those same events at the Merrillville sectional, and was the sectional's top individual point-getter (40 points). As a junior, she was sectional champion in the 100-free and 200-IM, and finished fourth and third, respectively, in those events at state. Her 200-medley relay team placed second. Before her senior year, Rogers’ family moved to New Zealand where she swam with members of the New Zealand National team. 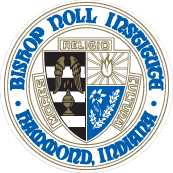 Still, she considers Bishop Noll her official high school. “I went to three different high schools. Bishop Noll was the best by far,” she said. Jim Tonkovich, of Schererville, was the head boys and girls swim coach at BNI from 1974-1984. Tonkovich has served on the board of directors for the Indiana High School Swimming and Diving Hall of Fame since its inception in 2007. He himself was an inductee the first year. Among his accomplishments was coaching the Bishop Noll boys swim team to win the state championship in 1981 and 1984. The hall of fame typically inducts two or three coaches and five or six athletes at each ceremony, which is only done every fourth year. In just her two years of swimming at Noll, Rogers had more than enough points to qualify for hall of fame status, Tonkovich said. Rogers said she was honored to receive the honor. Her BNI teammates also cheered her on and made her feel like she belonged. She said the most important thing Coach Tonkovich taught her was not to expect her times to improve every time she raced. Her time at Bishop Noll left her with happy memories. Through social media, Rogers has reconnected with some old classmates. Post high school, Rogers graduated from The Medical College of Georgia with a BS in nursing (’85). In 2005, she graduated from the University of St. Francis in Joliet, Ill. (satellite program in Tennessee) with a master’s degree in health service administration (’05). She is currently the director of nursing at The Center for Specialized Surgery in Fort Myers, Fla. The hall of fame induction is scheduled for April 14, 2019. Rogers is unable to attend but has asked Tonkovich to accept her award on her behalf.